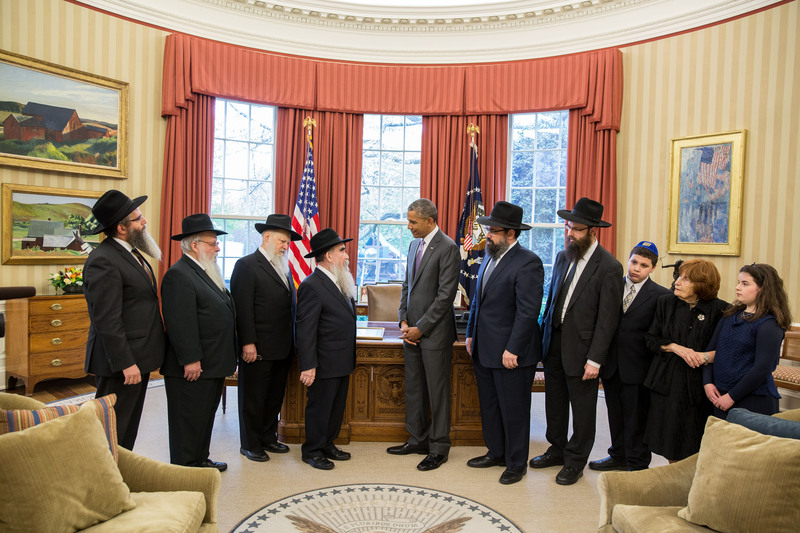 Where is “Brother” Obama -The God Father of Zio-Brotherhood’s SPRING)? Filed under: Abunimah, AngloZionist Empire, Arab Zionists, AZZ, BDS, Gilad Atzmon, Jewish Lies, Jewish Power, Nazi Israel, Omar Barghouti, Palestine, PSM, Soros | Tagged: Nahida |	Comments Off on Controlled opposition? You Bet! Horst Mahler’s checkered career has taken another sharp turn. The 81-year-old neo-Nazi and Holocaust-denier has declared that he is on the run from the judiciary and is now thought to have fled the country. He called the charges against him “political persecution without legal basis,” and accused Munich’s state prosecutor Manfred Nötzel of attempting to murder him in prison. An associate of Mahler’s told public broadcaster ARD that he was no longer in the country. Forbidden words, taboo topics, witch hunts, smear campaigns, excommunications, thought-policing and book banning are no longer the trademark of fascists and right wing extremists, the profession is shared now by Jewish “anti-Zionists,” alleged “friends of Palestine.” We are left watching in astonishment and disbelief as some “anti-Zionists” are doing the work of hyper-Zionists the likes of ADL and BoDoBJ. I have recently witnessed the ostracizing and excommunication of two activists, Paul Eisen and Gilad Atzmon, by my local group affiliated to the Palestine Solidarity Campaign (PSC) using the Zionist method of character assassination of using the labels “racist” “anti-Semitic” as a method of muffling truth. Yet, among the numerous intellectuals and political activists that have publicly defended Atzmon are many Jews for whom I have only high praise and have expressed much admiration. In 2009, soon after the Gaza massacres, by sheer coincidence I came across the word Neshama. Curious, I googled the word, and lo and behold a Pandora’s Box opened before my eyes; a new learning curve began; I learned about a group called Chabad Lubavitch. I was horrified to discover the supremacist ideology at the core of this group and the level of influence accomplished by the Rebbe and his followers. Horror-struck, I started investigating, studying then writing about two main issues; the supremacist ideology and the high influence of this prominent organization, attempting to alert our Jewish PSC allies to the danger of such ideology and influence… only to be faced with utter silence. For us Palestinians and for our supporters in the solidarity movement, it is a matter of extreme importance to inspect and scrutinize the ideology that motivates and animates the Jewish settlers in our occupied Palestine in order to better understand it, hence combat it. Restricting our understanding of the occupiers, their ideology and mindset cripples our ability to fight back against them knowledgeably and effectively. Furthermore, in our day and age, racism has become outlawed, when people learn about the extent of the ideological racism in the Zionist entity, it will enable us to fight them in their weakest point, thus, bring the day of our liberation closer. First; when we look at Zionism as a crime, again, then logically we must identify and investigate the modus operandi. Failure to do so would leave us unable to understand how our oppressors operate and succeed. Second; with regards to the Jewish-Zionist lobby: investigative work that examines information, no matter how well concealed, and attempts to identify at least some of the culprits and the real criminals behind the fearmongering, the endless wars and the catastrophic conditions that our world suffers is neither racist nor anti Semitic. Third; devoid of proof or evidence for their false accusations the controlled opposition gate-keepers insidiously filter information through intimidation and by labeling anyone who dares to divulge vital facts. They disable Friends of Palestine (FoP) members from understanding the animus and the methods used to install and to perpetuate the criminal Zionist project, in particular the global network of collaborators who organize and effectively manipulate world policies by coercing world governments into continuous support of the Zionist project in spite of its growing inhumanity. Expecting to become myself sooner or later a victim of such smear and filtering activity, I always utilize extensive links to primary sources I quote, mostly Jewish organizations. The network formed by these organizations involves large sections of Jewish communities worldwide, and its ultimate role is generally to support the Zionist entity, by inserting themselves in influential positions. Suppression of inquiry amounts to a dynamic protection system (by peripheral concealment) of the global Zionist network. Lite-Zionist critics of Israel are attempting to impose on FoP their restrictive dogma, i.e. that a majority of Jews worldwide, whether Zionist “diaspora” or “Israelis”, are not the manipulators of international policy with regards to “Israel”, but the complacent, docile instrument of U.S. imperialism. 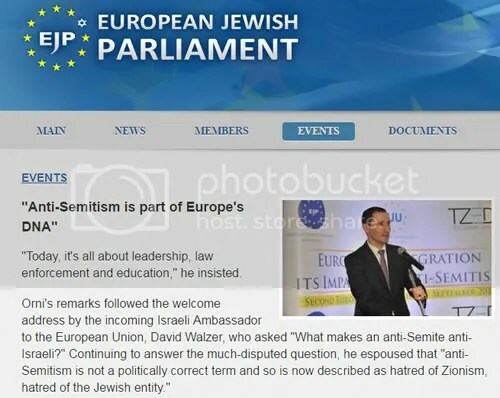 To persist, such dogma imperatively needs, again, to filter out glaring facts such as the over-representation of Jewish-Zionist dual citizens in vital areas of UK-US policy making, or the cross-pollination of racist and supremacist ideology between many Talmudic Rabbis and many Secular Jewish-Zionist Organizations supporting the Zionist project. The persistence of this dogma also requires strict and repressive censorship and gagging of whomever tries to scrutinize, analyze and discuss the facts, let alone expose them to an audience concerned by matters of equality and humanism, such as FoP and the Palestine solidarity movement in general was supposed to be. That is how and why smear campaigns with killer words such as “anti-Semitism” or “racism” are launched. At best, such activity on part of alleged “friends of Palestine” is irresponsible. The logical implication of such nonsense, would be that Jewish Israelis, almost all of them serving at least 2 full years in the Israeli army, are just naïve and innocent victims. Thereby, this nonsensical dogma exculpates the notoriously perverted cruelty and psychopathy of the Israeli military’s crimes, up and down the command ladder. First; “Facts” do NOT need laws to enforce or defend them, what they require is research to examine their narrative and correct it for better accuracy and understanding. The denial of these principles will invariably lead to the eradication of the Science of History, and thus cause the blind repetition of more genocides, as we already see in Palestine, Iraq, Afghanistan… Much like what we see with the cover up and suppression of information about The Truth about 9/11, who benefited and how the event was used to create a climate of hatred and fear which enables the power elite to continue waging wars of aggression and extermination. Second; without understanding how the holocaust has been used by Zionists, from its onset til this very day, we would continue to succumb to intimidation and give allowances that legitimize and justify the existence of a criminal entity. By insisting on keeping an aura of holiness, uniqueness and exceptionality around the holocaust which would continue to put it above any historical event, preventing researchers from examining how this event has been used, and how it enables our occupier to continue to use it as justification for what they do in Palestine. Third; there is absolutely no link -strictly none- between the so-called Holocaust and Palestinians. Nowhere can Palestinians be incriminated in the abhorrent oppression committed by central Europeans against Jews during World War II. When someone claims to be in the solidarity movement with Palestine, but then at a crucial time when the Palestinian struggle for Liberation gains momentum, engages in such blatant cover up and concealment of vital information and analysis that would enable people to better understand the core problematic issues and how to effectively deal with them, I and with me every member of the FoP and the Palestine solidarity movement, have the right to question the dubious intentions and motivations of such acts, and to evaluate the damage such people are causing to the movement, hence to Palestinians. I would like to add a thought about the accusation of racism and anti-Semitism used as a method to silence debate. Anti-Semitism is nothing but one form of racism. Jewish supremacy is yet another form of racism. All forms of racism are vile and ought to be rejected. An aggravating factor makes the accuser’s motives appear to be even more dubious. Indeed the false accusations of racism is inconsistent with their deafening silence about the mountain of evidence of the wide-spread existence of the ominously racist Jewish supremacist ideologies. This utter silence is a glaring attempt to deflect from the real racism about which I happen to have done extensive research during the past 2 years. On the one hand they do not hesitate to throw such a label against many honorable activists, scholars and intellectuals, in fact they label as “racist” and “fools” anyone who exposes the revolting yet well concealed Jewish supremacy, anyone who notices the effect of Jewish-Zionist networking or who objects to their disproportionate over-representation in key positions with all what it entails of conflict of interest and promotion of the interest of a foreign entity at the detriment of the interest of their national constituency. Yet, on the other hand, mystifyingly, the same people, who without hesitation accuse us of racism, stay utterly mute about the massive, revolting and offensive racism that fills thousands of pages in the Talmud, and major Jewish religious books! And I am not talking about some fringe lunatic fundamentalists who use these always mutating texts as tools, what I am talking about is the inter-connective network of people deeply entrenched in the main centers of government, power and capital, and who are veritably driving policies, war-mongering and hate-mongering! This sharp contrast between the fervent reaction of those disloyal activists to alleged “racism” on one hand, and on the other, their apathetic deflated reaction or lack thereof, to the sickening anti-human racism emanating from Jewish sources with its correlation with Zionists’ activities, leaves me speechless, beyond words. Since I started exposing this racism, and over the past two years, I heard NOT ONE WORD about their outrage, opposition or willingness to expose or fight Jewish supremacist ideology, such as seen in the writing of one of the most respected, most reputable Jewish philosophers Moses Ben Maimon (also known as Maimonides). “The subjugation they must accept consists of being on a lower level, scorned and humble. These “chief authoritative codifications of Jewish law and ethics” do not see any ethical predicament with “Jewish wars” of extermination and annihilation either. Now, where is their outrage against such blatant Jewish racism and supremacy and terrifying nihilistic ideology? Don’t they claim to be against racism wherever it comes from? Why don’t they have the guts to condemn and campaign against such racism? Is it not ludicrous to hear them condemn instead, those who expose and vehemently oppose such racism? This inconsistency is incomprehensible to me. Why are they entitled to classify people and to dictate to people what they should read and what they should avoid? Why deprive people of the right to read a wide range of opinions, including my own writing, and allow them to make up their analysis, and conclusions without manipulation, repression or restraint? In my writing I vehemently criticize racist Jewish ideology, but I never accuse all Jews of being racist, never put them -or anyone else for that matter, in one basket. Ever. In my writing I quoted the poll that 95% of USA Jewry support Israel as a Jewish state and 90% of British Jewry believe that Israel is the ‘ancestral homeland’ of the Jewish people, and concluded that most world Jewry are supportive of the theft of Palestine. Truth is that the majority of world Jewry insist that Jews have a right and claim to the land. Including some of our Jewish “anti-Zionist” friends under whatever pretext. Their claims are not acceptable and unjustifiable! I have pointed out the influence of organized Jewish networks, such information is available for any serious researcher, it can be easily verified, yes it is troublesome to find such a tiny group extremely overrepresented in so many vital areas of public affairs, such as finance, media, security and policy making, more so when the interests of such a group are in conspicuous conflict with the interest of the larger group, and when this minority supports a genocidal entity that has not evolved in six decades. Perhaps such questions of over-representation might have not surfaced had the behavior of those in question been shrouded with morality and humanity. Had they been working to establish social justice, building homes, schools and hospitals instead of destroying and polluting the planet for generations to come, and instead of law of the jungle where the super-rich eat the poor to the last bone, had they chosen cooperation instead never-ending conflict, and promoted peace and justice instead of fomenting perpetual wars. I do not need to focus on Christian Zionists because their ideology is almost entirely sourced from the Old-Testament which is none other than the Jewish Torah! Most authentic Christians consider the Christian Zionists as worshipers of “Israel” and of the “Jewish people” rather than God, and in that sense they share the same ideology as Jewish-Zionist supremacists, in terms of their reverence and idolization of the Jewish people as the “Chosen”, they are one and the same. Furthermore, those who occupy my land, those who drove me out of my homeland, and those who are still depriving me from going home are the Jewish Zionists. I criticize the deafening silence of anti-Zionist Jews with regard to the racism that thrives amidst many Jewish communities. A silence which I believe will backfire one day, as they would be seen as not only complaisant but also complacent by deflecting away and concealing horrendous truths. My criticism is motivated by concern and genuine care for good Jewish individuals that I have known and those whom I don’t know, because of what I perceive as the danger that would befall all of them if they continue to ignore the supremacist ideology, the growing influence of the adherents of this ideology and if they continue to ignore all the warning signs that point to accumulating bottled rage against such villainy, which no doubt would one day manifest itself violently as an inevitable backlash to much unsaid, yet felt, oppression and unspoken, but lived, subjugation. I find it rather pathetic that the only defense mechanism that the accusers come up with is the smear, slander and the accusation of being a “racist” against anyone who pokes the boil exposing the pus infesting inside one of the most vile racist and supremacist ideologies thriving at the heart of some Jewish teachings as per Mishna Torah, Zohar, Tanya, and Talmud. By insisting on dismissing Jewish supremacy and Jewish-Zionist networks they only promote the most cruel and degenerative racism to be found on the planet by means of concealment and shifting attention away from the real racism that I vehemently fight and deplore. The persons who resort to accusation, suppression, character assassination and smear campaigns very cunningly and dishonestly omit to mention that those who expose and condemn the racist concepts of “chosen-ness”, “exceptionality”, “superior morality”, “superior intelligence”, and “Jewish entitlement of world leadership” do not invent these concepts. It is not racist to expose or quote such abomination, it is not a crime to bring such Jewish-claims to the public awareness. Any honest criticism should be directed against those who believe such filth and make such revolting claims. I accuse you of acting as protectors and gatekeepers of the global Jewish Zionist networks and lobby groups by denying their existence and effectiveness. Palestinians have the right to fight for the full liberation of their country, those who are willing to march with us all the way are welcome, those who are not, may look for other more convenient and less controversial campaigns to support. I denounce any person or group who pretends to speak in my name as a Palestinian, yet behind closed doors, they plot and whisper about how to mute Palestinian voices and curtail the spread and impact of daring Palestinian opinions. I denounce any person or group who turns a blind eye and reacts with a deafening silence to the unimaginable repulsive racism that oozes from some Jewish supremacist groups, yet instead, hysterically and shamelessly react to someone who accidentally came to discover such horrors. Finally, I fully trust the Palestine solidarity movement to have the intellectual integrity and capacity to see through the fog of manipulation, and to have the assertiveness, the respect for their own intellect and enough open-mindedness to look at many sources of information, and that they have the courage to read for themselves and evaluate what they read independently, without having some gurus spoon-feeding them with filtered, processed, misrepresented or manipulated information. Nahida Izzat is a Jerusalem-born Palestinian refugee who has lived in exile for over forty five years, after being forced to leave her homeland at the tender age of seven in 1967, during the six-day war. She has a degree in mathematics, but art is one of her favorite pastimes. She loves hand-made things and so makes dolls, cards, and most of her own clothing. She also writes poetry, participates in written dialogues and believes in building bridges, not walls.